SECOND CHANCE is the sequel to FIRST COMES LOVE, a contemporary New Adult novel. 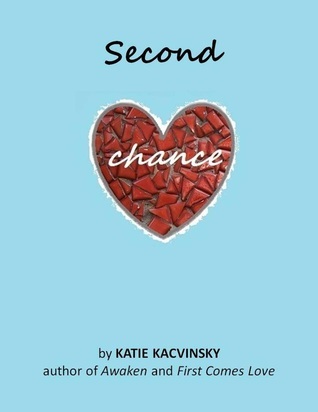 This tour, hosted by Good Choice Reading & A Book Lovers Review, will be filled with a little bit about First Comes Love and a little bit of Second Chance, including reviews, interviews and lots more! Out of the corner of my eye, I’m watching a girl. She’s on the opposite side of the courtyard from me. The sun is pounding down on her bare shoulders. Her face is pressed up against a camera and she’s squatting low to the ground. It looks like an old manual camera by the way she focuses the lens and turns a lever after every shot. The courtyard between us is really just ample cement sidewalks converging in a circular, cement center. Apparently, whoever designed the landscape of Mesa Community College felt this cheap material would suffice for students who are here on a budget and don’t deserve a luxury landscape. Ivy League schools get Corinthian columns, cobblestone promenades and brick halls surrounded by gardens so students can read Hemmingway next to granite fountains and quote Dickens in terraces covered with climbing vines. Community college students get cement benches and a lone cafeteria specializing in greasy donuts and potato wedges. It puts us in our place from day one. My eyes are drawn back to this strange girl. You can’t help but notice her, she’s always roaming around outside, like she’s part human, part coyote. Sometimes she sits against a tree and writes in a journal, no bigger than the palm of her hand. Sometimes she draws on a sketchpad. Sometimes she whistles. She’s always by herself. She wears the same beat-up, black Adidas tennis shoes everyday. I think I used to own the same pair, when I was twelve. She wears baggy jeans, an interesting style choice since the average summer temperature in Phoenix is a hundred and ten degrees. The jeans practically slide off her bony hips and flap like bird’s wings in the dusty wind gusts. Today her tank top is the color of the sun, a citrus yellow and it’s too small, hugging her long, slender waist. She has the curves of a bean pole. Once she caught me watching her and grinned, but I immediately looked away. I don’t want to acknowledge her. I’m not looking to make friends. I just want a diversion, an object to rest my eyes on, so I can zone out and wait for time to pass. I lean against a wall of the science building that offers a sliver of shade and pull my baseball cap low over my forehead to block out the bright light reflecting off the pavement. I always wear a hat to class. I feel like I can hide behind it, like I have the power to shun the world simply by lowering its rim. I pretend people can’t see me and I can stare at whoever I want, mostly girls, in their skirts that fall barely below their waists, in high heels that show off their tan legs, and skin-tight tank tops that leave little to the imagination, which is fine with me. I pick up my iPod and scroll through the albums until I find rap. I think music is seasonal. In the summer my taste changes. More hip hop, up-beat, fast-paced. In the winter it slows down. More acoustic and oldies. I drum my fingers against the ground and delay going to class until the last possible second. There is nothing more painful than taking math and creative writing in the middle of the summer. It’s too much forced right and left brain activity to be asked of a person before noon. At least the misery comes in a concentrated dose of four weeks and not an entire semester. My eyes wander back to this girl—now lying flat on her stomach in the middle of the sidewalk. I can feel myself glaring at her. What is she doing? Taking pictures of the stupid concrete? I watch her, baffled, and scan her lanky body. She isn’t skinny like models in magazines—emaciated skinny, people who look like stick figures with big hair and makeup. She looks hyper skinny, like she can’t sit still long enough to eat a full meal. Like her secret diet is living life at a vivacious speed. I check the time on my phone and look back at her with a frown. Of course she has to be monopolizing the one path between me and the English building. I could walk around her, but I’ve never seen someone photographing a sidewalk with such dedication and I’m curious to know what’s luring her face inches from the ground. I stand up and take cautious steps towards her like I’m approaching a wild animal that could thrash out unexpectedly. She’s sprawled out, her chest supported by her bony elbows, her hands holding the camera perfectly still. She must have heard me coming. “Don’t walk any closer,” she warns me. I stop a few feet away and the wind picks up sand around us. Wisps of dirty blond hair fall free from her braid and blow in her face. I frown at her for hogging a public walkway. “You’re blocking the sidewalk,” I say. My throat’s dry and my voice comes out raw and scratchy. She slowly turns her neck to face me and her eyes are intense on mine, serious in her mission. “You’ll scare them away,” she whispers and motions with her eyes. I look down at the empty sidewalk. There isn’t a single movement in the distance. I stare back at her with concern. Maybe she’s schizophrenic. Maybe the desert heat fried her brain (at least the logical side) and she’s hallucinating. I lift my foot to back up, but then I glance down and realize only a few inches away from this girl’s head are two, pale-green geckos. They’re facing each other as if they’re talking. “Got it,” she says. She stands up and brushes the sand off her jeans. She’s taller than I thought, only a few inches shorter than me and I’m six-foot-two. I study her. She must be from out of town. My guess is Midwest or out East. “You’re not from around here, are you?” I look at her skin, covered in freckles but paler than the native Arizonian, who acquire enough daily sun to give their melanin a year round stain of tan. “What makes you say that?” she asks and squints up at me. She looks at the ground for more lizards. “They’re so friendly. They always play tag around my feet.” She places a black cap over the camera lens. “I’m visiting for the summer,” she says, in answer to my question. I raise my eyebrows. Normally I’d be gone at this point. Small talk isn’t my thing. But this girl is becoming more bizarre by the minute. “You came to Phoenix for the summer?” I ask and she smiles at my shock since most people flee the desert this time of year, unless you like feeling your skin bake or you enjoy spending your days inside a cool refrigerator commonly referred to as air conditioning. “I’ve always wanted to see the desert,” she says and raises her chin. “What are you doing after class?” My mouth drops open at her assertiveness. Does this strange girl think I walked over to talk to her? Doesn’t she realize she’s just blocking my way? “Uhm,” I stammer. My daily routine is the same: eat lunch, play video games, strum my guitar, lift weights, try to figure out my life. Stay out of my parents’ way. Work part-time at Video Hutch. “Could you give me a ride home?” she asks. “I rode the bus over from Scottsdale and it took two hours to get here,” she adds. My mouth drops open with shock, again. Who moves to Phoenix without a car? A weird, jean-wearing, ride-mooching girl, that’s who. I frown at her for presuming I have nothing better to do this afternoon than drag her around town. I mean, it’s true, but it’s rude of her to assume it. Besides, any normal person wouldn’t be this forward with a stranger. And who actually enjoys riding a city bus? It’s like a ghetto on wheels. I stare back at her. So, she has noticed me noticing her. And, according to her I come off as boring and harmless. I wonder if that’s how all women perceive me. Well, at least she threw cute in there. “I can meet you here in an hour,” I hear myself say. I wish I could catch the words and reel them back in my mouth where I’d safely store them away in my ‘shut the hell up you idiot,’ file. What am I going to do with her? But before I can take the offer back, she nods. “Perfect. I’ll finish my courtyard collage.” I look around at the dried grass, the cement benches, the scrawny trees and dusty ground. She’s going to spend an hour photographing this eyesore? I sigh and head towards the English building, already contemplating an escape plan. I love blog tours! I can take a trip without leaving my computer! I haven't read either book but they both sound so good! 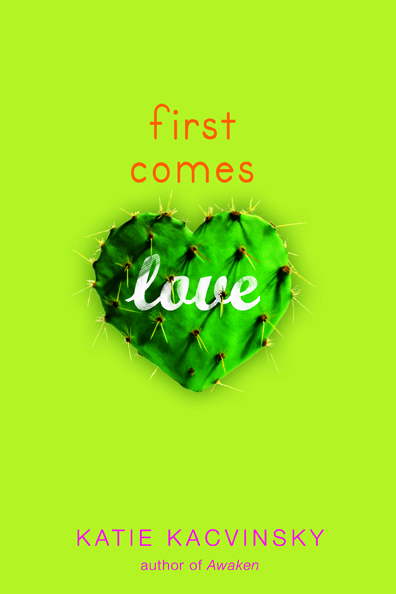 I loved FIRST COMES LOVE. thanks for the giveaway and tour! I haven't read FCL so I will admit to skipping the spoilers...thanks for the heads up! I can't stand spoilers! I have heard great things about FCL so am excited to read it soon! I like the excerpt. thanks for giveaway.